Instagram's feed tab is probably the one in which users spend most of their time, since it's the one with pictures and videos from people and brands you actually chose to follow. The "Explore" tab, on the other hand, is meant to surface content from users you don't follow, either because it's content that's popular on Instagram or just because some algorithm decided you might like it. Honestly, it's so often littered with bad memes and overly-filtered photos that I avoid it for the most part. However, Instagram seems to be working on a redesign of the Explore tab that would seem to make it a little easier to browse, as first spotted by TechPP. The new layout organizes and groups photos and videos by topics such as photography, people, or sports. 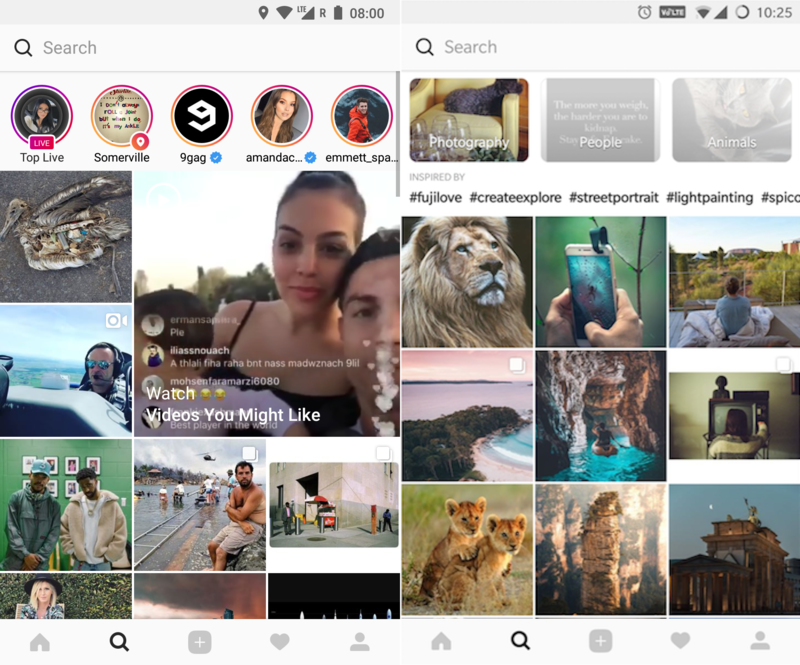 The different genres are shown in a carousel layout at the top of the screen (where recommended Stories used to be), so users can cycle through them easily and tap on one they'd like to see more of. Just below that is what appears to be a list of related hashtags. 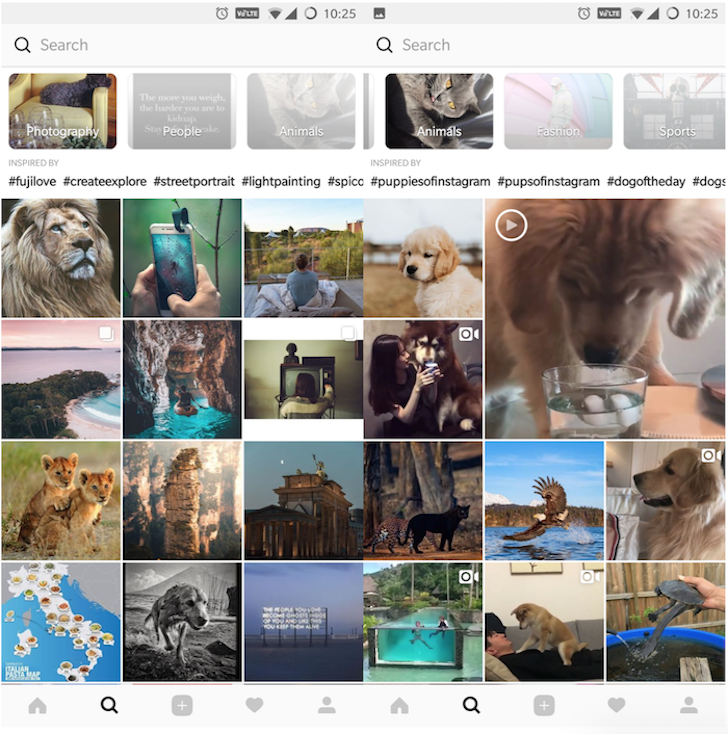 The content in each category appears to be mostly aggregated based on the hashtags used in each image or video, but according to TechPP, some of the content gets grouped in even when it doesn't include any hashtags, indicating that Instagram may be using some image recognition similar to the one used in Google Photos. TechPP states that the new Explore tab showed up after having installed version 42.0.0.8.95 from APK Mirror. However, I was unable to get the new layout to show up for my account, even despite being currently signed up for Instagram's beta program, which would suggest that the change is controlled server-side.